Fall 2015 Hair Trends - Fall/Winter 2015-2016 Hairstyles. 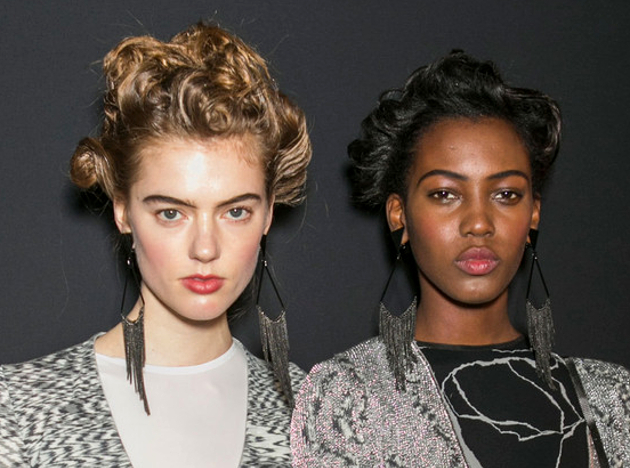 10 Hairstyle Trends from the Fall 2015 Runways. From New York to Milan, the biggest fashion brands in the world showcased plenty of cool new trends at Fashion Week. If you already know what you’ll be wearing this fall, check out the big Fall 2015 hair trends and discover which ones fit your style best. 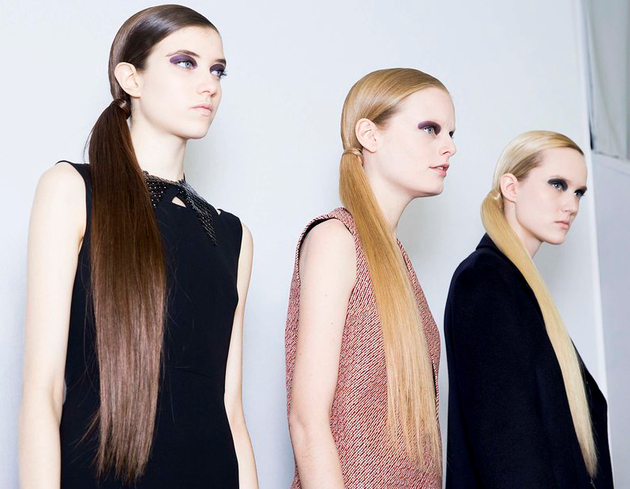 Make sure your hair is just as trendy as your outfits by choosing one of the big hair trends that ruled the runways. From cool updos to more natural looks, and from bangs to pink streaks, here are the major hair trends to try this fall. 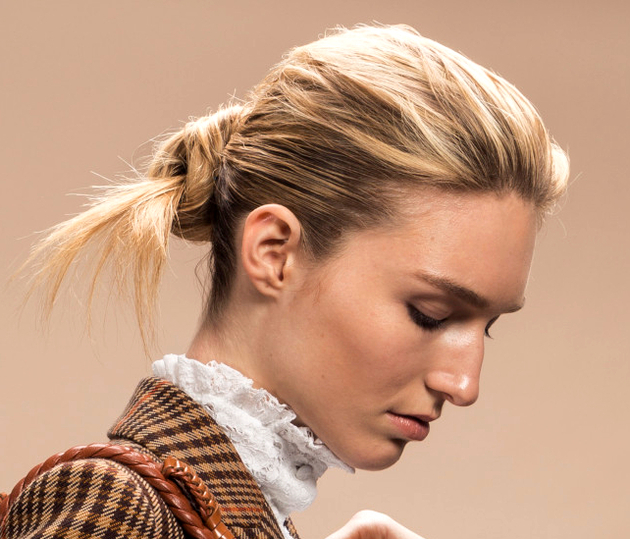 After making a big splash in the ‘80s in various incarnations, the side ponytail is making a comeback in a more sleek and natural way. Long side ponytails had a strong presence on the runways, including shows like Dior and Prada, and they’re already getting plenty of celebrity fans, including Cara Delevingne and Rosie Huntington-Whiteley. If you love the look, go for a sleek interpretation. 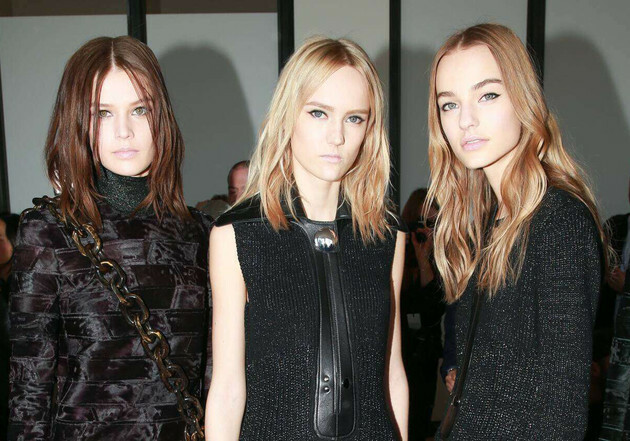 It’s definitely one of the big Fall 2015 hair trends, and the middle part comes in two different versions. Runway shows from Calvin Klein, 3.1 Phillip Lim and Jill Stuart featured a more messy middle part, so the bed head look is definitely in. 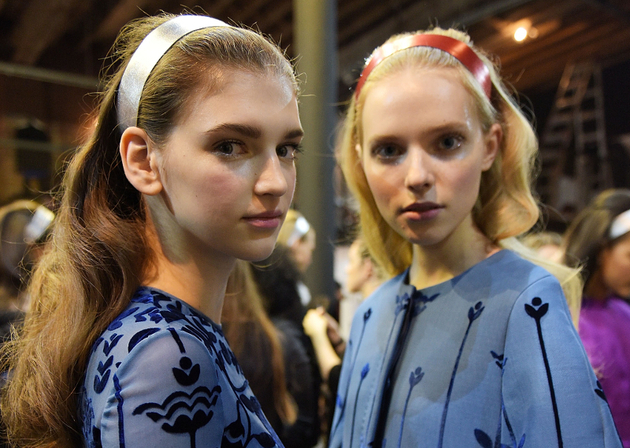 Alberta Ferretti and Emilio Pucci opted for a more defined center part, that’s even more sophisticated. From heavy bangs to a whispy fringe, bangs also made a big impression at Fashion Week, from New York to Paris. 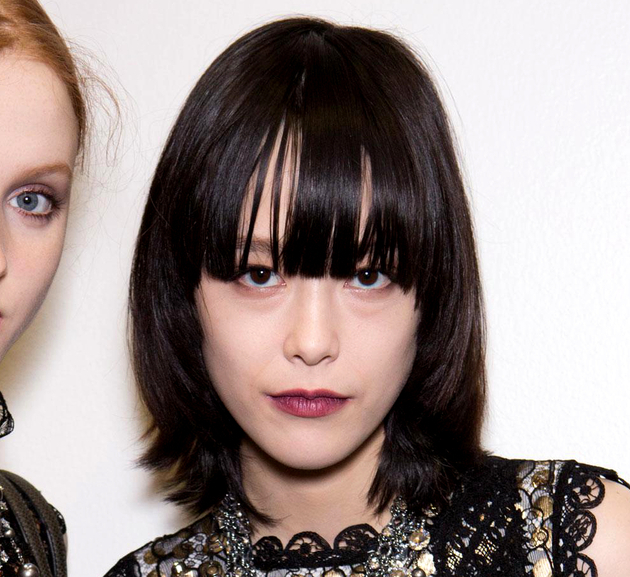 Whether you prefer a shorter and edgier look or a more classic fringe, bangs are definitely worth a try this fall. Céline, Saint Laurent and Bottega Veneta had plenty of models walk the runway in bangs, and the results were stunning. Modern updo ideas ruled the runways, but it was the deconstructed chignon that earned one of the biggest spots among the Fall 2015 hair trends. Showing off the nape of your neck might not feel like a fall trend, but loose chignons were the preferred look for many shows, including Altuzarra, Vera Wang and Diane von Furstenberg. 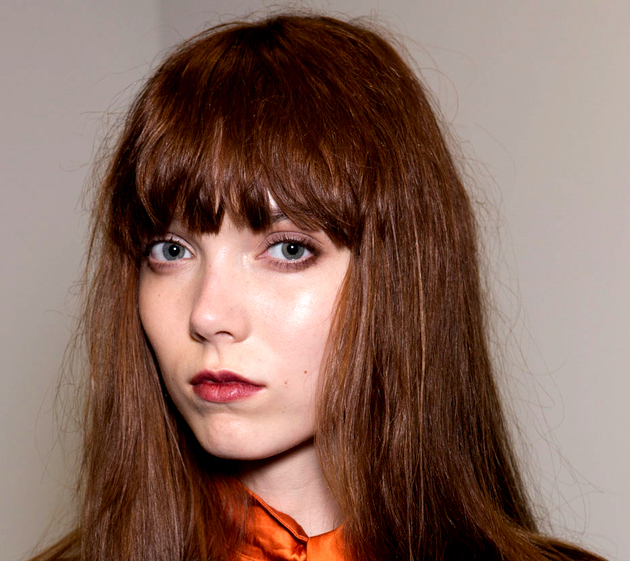 Enjoy the shorter hair look without chopping off your tresses with this cool fall trend. 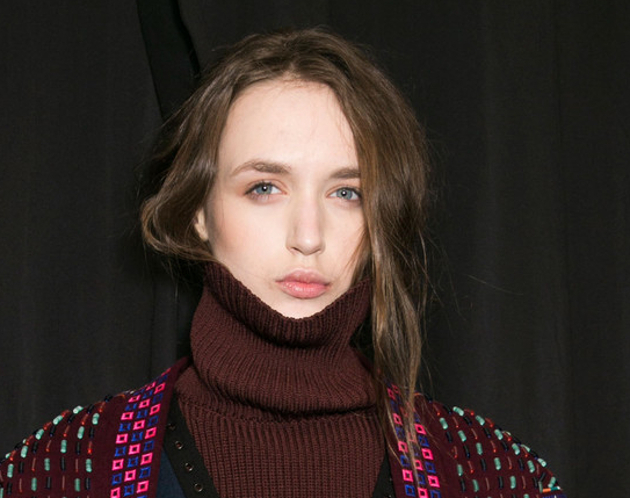 Missoni and Max Mara showcased the right way to create a fake wavy crop. With plenty of bobby pins and hair tucked under itself, you can create a short hair look with texture that looks both natural and sophisticated, before going back to a long hairstyle the next day. 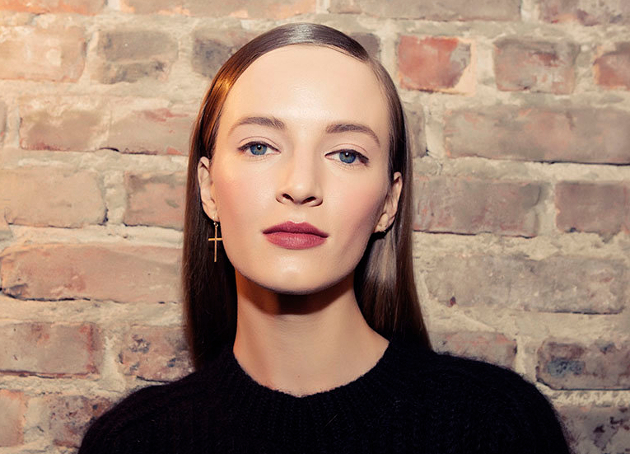 If you love the slick look and you prefer deep side parts, this is definitely one of the Fall 2015 hair trends for you. 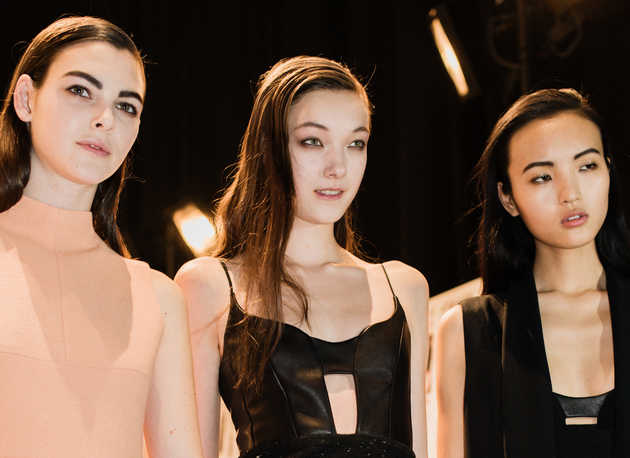 From Zac Posen and Donna Karan to Narciso Rodriguez, models stepped out on the runway with a wet-looking side part. Don’t skimp on the hair gel if you want to create this modern look, because the point is to make your hair look laminated. When you’re feeling adventurous, pink is the way to go, either with a few highlights or with a cotton candy look. 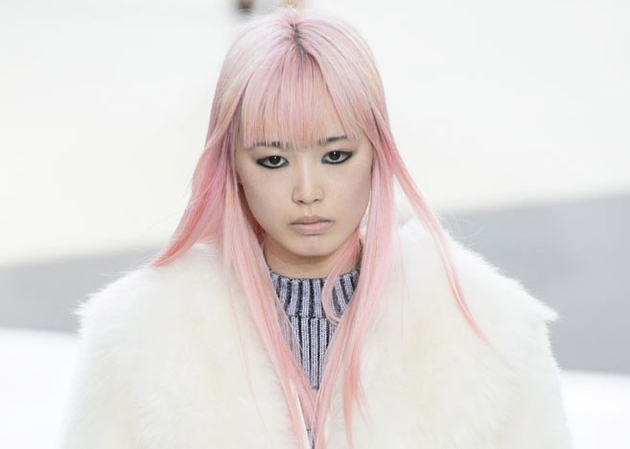 Louis Vuitton featured the most striking pink looks, but plenty of models sported rose colored hair on the catwalk. The look works best for blonds, whether you decide to go with a touch of pink or bring it to a more dramatic level. Seen on the runways at shows from Roberto Cavalli, Marni and Gucci, natural waves that look slept in are also one of the big Fall 2015 hair trends. Use a good texturizing spray and be prepared to sleep on it to get the look just right. There were plenty of hair accessories on the catwalks at Fashion Week, including loose chignons accessorized with brooches, but headbands made the biggest impact for this fall. 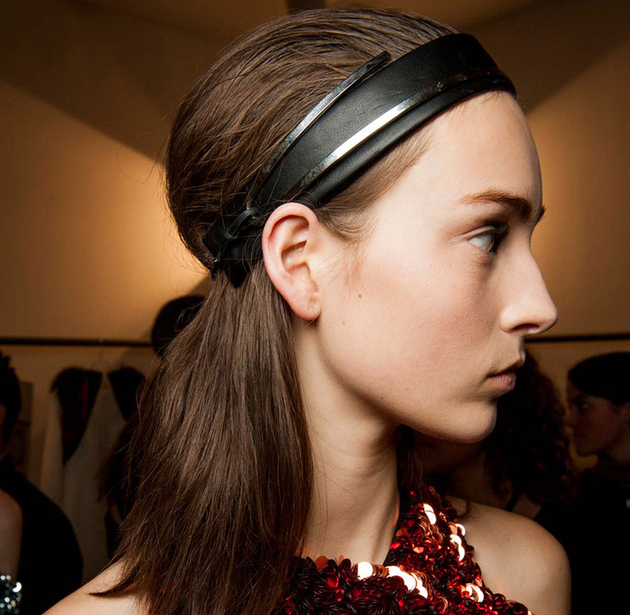 Proenza Schouler, Richard Chai Love and Honor featured diverse headbands, from soft pink to edgy leather, so don’t be afraid to experiment when looking for the perfect accessory for your hairstyle. When you’re wearing a turtleneck or even a regular sweater, try one of the most interesting Fall 2015 hair trends and tuck your hair inside. The look was seen on the runways at Edun, BCBG and Charlotte Ronson. You can even achieve this chic look by keeping your hair tucked in outerwear, just make sure that you get a little volume at the collar.